As soon we announced our intention to bring our games to Steam for the PC and Mac platform, the hue and cry to include Linux has been strong! 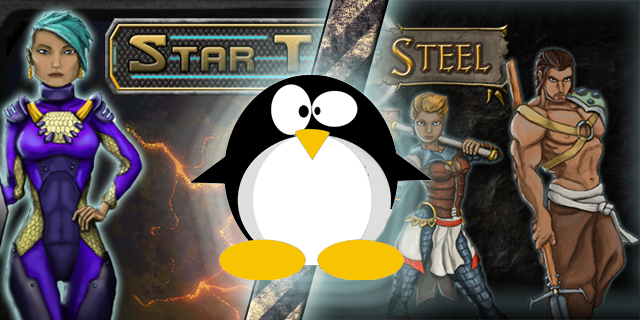 Thanks to your requests, we have now launched both Star Traders 4X Empires and Heroes of Steel on Linux via the Steam platform. Lead four unlikely characters on a dark adventure in the underground world of Heroes of Steel. Note that there are no penguin characters in this game. Command the refugees of the great Exodus and rebuild your galactic empire in Star Traders 4X Empires. Also, no Factions are made up solely of penguins. Some aliens have been described as resembling birds.